If your dog or cat is missing, don’t give up. We’ve had pets reunited with their owners after more than a year. Don’t assume that your cat has been killed by a wild animal, or that your senior pet has wandered off to die. We receive a lot of lost cats at the shelter that were obviously someone’s pet, and it is more likely that an older pet is suffering from dementia and can’t find its way back home. Do your best to locate your missing pet. They’re counting on you! File a Lost Pet report with us. Call the shelter at 812-988-7362 between the hours of 9-5, or visit between 12-5, and ask to fill out a Lost Dog / Lost Cat report. The more information we have, the better we’ll be able to identify your pet and to get in touch with you if they’re brought to the shelter. Contact surrounding shelters and ask to fill out a lost pet report. Pets, especially dogs, can travel many miles very quickly. Post information about your lost pet on the following Facebook pages. Be sure to include a recent photo and any identifying information. Give a phone number for contact and details about where and when you last saw your pet. Place large (poster size) neon signs near where your pet was lost. Make the sign large enough for drivers to read as they pass by. Put LOST DOG/CAT and your phone number, with a photo and very brief description. 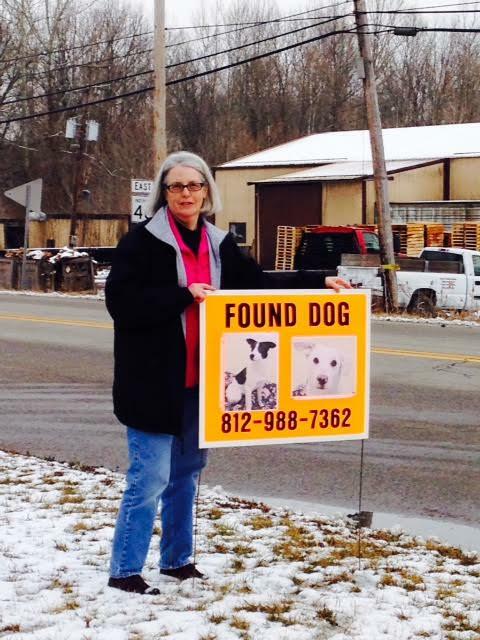 See the example here of what the Brown County Humane Society is using when lost pets are brought to the shelter. Create flyers and distribute them to the following places. Be sure to include a clear photo, detailed description of your pet and your phone number for contact. Distribute them to local businesses; your neighbors (deliver door to door); your mail carriers, UPS drivers, FedEx drivers, and school bus drivers; and local veterinary offices. The behavior of lost dogs and lost cats varies depending on the experiences and personality of each; therefore, the recommended search techniques differ. The resources listed below provide detailed tips for finding pets based on each pet’s circumstance. 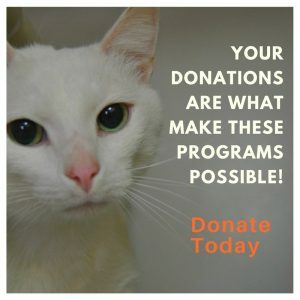 Lost Cat Resources: If your cat is lost, follow the steps above and also check out the tips from Cats in the Bag http://www.catsinthebag.org/. Be sure to read their section on searching for indoor-only cats as well. http://sonic.net/~pauline/profile.html. If you find a lost pet, call the shelter at 812-988-7362 between the hours of 9-5, or visit between 12-5, and ask to fill out a Found Dog / Found Cat report. Bring the animal to the shelter or to your vet to be scanned for a microchip and to allow us to get a better description. If you are able to care for the animal temporarily while the owner is located, it helps us save space for other animals. Then follow the same steps for a lost pet, contacting other local shelters, posting on Facebook, and putting out signs. If you are unable to care for the animal temporarily, you can bring it to the shelter between the hours of 9-5, or visit between 12-5. Please call ahead if possible. If you find a friendly, healthy-looking cat, it may just be an outdoor pet. We recommend that you leave the cat alone, without food, for three days. Then if the cat is still around, follow the same steps for a found pet and begin to look for the owner or bring the cat to the shelter.